"One has all the goodness, and the other all the appearance of it." --Jane Austen Jane Austen's masterpieces are littered with unsuitable gentlemen--Willoughby, Wickham, Churchill, Crawford, Tilney, Elliot, et al.--adding color and depth to her plots et al.--adding color and depth to her plots but often barely sketched. Have you never wondered about the pasts of her rakes, rattles, and gentlemen rogues? Surely, there's more than one side to their stories. It is a universal truth, we are captivated by smoldering looks, daring charms ... a happy-go-lucky, cool confidence. All the while, our loyal confidants are shouting on deaf ears: "He is a cad--a brute--all wrong!" But is that not how tender hearts are broken...by loving the undeserving? How did they become the men Jane Austen created? In this romance anthology, eleven Austenesque authors expose the histories of Austen's anti-heroes. "Dangerous to Know: Jane Austen's Rakes & Gentlemen Rogues" is a titillating collection of Georgian era short stories--a backstory or parallel tale off-stage of canon--whilst remaining steadfast to the characters we recognize in Austen's great works. What say you? Everyone may be attracted to a bad boy...even temporarily...but heaven help us if we marry one. 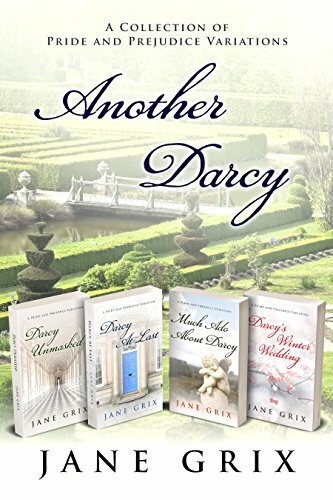 Return to Pride and Prejudice with Georgiana, Kitty, and Mary…An Unlikely DuetGeorgiana Darcy is introduced to Thaddeus Crosby through a fortuitous house party. Their romance is just beginning to bud when they are forced to separate- he to London; shparate- he to London; she to Pemberley. Can their unproven love last through the cold winter months apart and bloom anew when they meet again in London? Or will Georgiana’s crippling shyness amongst company and a malicious debutante out to win Thaddeus for herself separate them forever? Kitty Bennet is in Kent to attend Charlotte Collins during her confinement when she is thrust into company with the arrogant Marquess of Rockingham, Nathaniel Watson. He insults her upon their introduction, and she is determined to avoid him. But circumstances conspire against them, and when Mr. Collins stumbles upon them in what appears to be an intimate embrace, they are forced into a marriage of convenience. Can their uneasy friendship turn into something more? When Thomas Bowens' sister dies and he is entrusted with her four children, he hires Mary Bennet to serve as their governess. Together, they attempt to regain control of Thomas' household, and fall in love in the process. But their positions as employer and employee give them both pause when it comes to making their feelings known. Can four mischievous children help them put aside their uncertainties and create their own happily ever after? Kitty Bennet is shocked when her sister Lydia shows up unexpectedly on her doorstep heavily pregnant. What could have caused her sister to brave the rigors of travel alone to visit so late in her pregnancy? Enjoy this peek into the Bennet sisters’ lives as the entire extended family descends upon Kitty to support Lydia in her time of need. Three best-selling Pride and Prejudice 'what-if' stories in a Limited Edition Collection!§ Expecting His ProposalIn this diverting Pride and Prejudice short story, what if Darcy had not wounded Elizabeth's pride by insulting her at the Meryton assembe by insulting her at the Meryton assembly and had danced with her instead? What if Elizabeth had refused to hear a negative word formed against Darcy by his former friend, George Wickham? What if Elizabeth had been so agreeably engaged with thoughts of the master of Pemberley that by the time his visit to Kent was drawing nearer to its end, she was indeed expecting his proposal? Miss Elizabeth Bennet befriends Miss Anne de Bourgh, a wealthy heiress. Elizabeth has no fortune, no connections—nothing to recommend her except her wit and charm and her good nature. She agrees to aid Anne in her quest to secure a marriage proposal from her haughty, aristocratic cousin, Fitzwilliam Darcy of Pemberley and Derbyshire. How could Elizabeth know the gentleman has his heart set upon another? Darcy barely acknowledges his cousin’s existence. He knows what his family expects of him, but he never suspected that Anne harbored those foolish hopes. He only has eyes for Elizabeth, the charming and witty young woman he mistakenly believes is expecting an offer of marriage. Truth be told, Elizabeth does not even like the proud man—at least, not in the beginning. Scroll up and Grab Your Copy of this Limited Edition Collection Now! Over two hundred years ago, Jane Austen created Mr. Darcy and he has filled imaginations ever since. Now, your love for Darcy, and Austen literature never has to end. 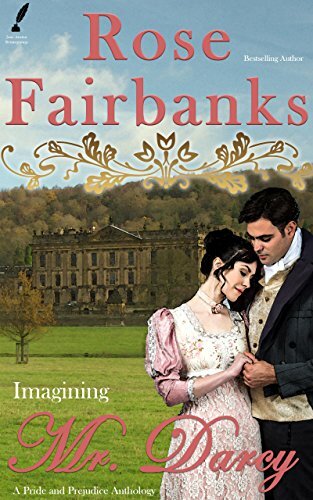 This anthology of Rose Fairbanks' stand-alone stories in the Jane Austen Reimaginings series includes novellas, short stories, and a novel. Buy today...enjoy forever. Missent letters lead to an assumed betrothal between Darcy and Elizabeth but the bride-to-be has other plans! When Sir William Lucas never interrupts Darcy and Elizabeth's dance at the Netherfield ball, an important conversation remains unfinished. Whey they meet again, will they have the chance to resolve their pride and prejudices, at last? And how will this change affect others? Fall in love with Darcy and Elizabeth over and over again! These short stories are specifically designed for busy readers like you! More short stories, this time envoking the wonder and love of the Holiday season. Snuggle up with hot tea or cocoa and imagine kissing Mr. Darcy under the mistletoe! Elizabeth Bennet has been called headstrong and foolish. This is never plainer than when she marries Mr. Collins to save her sister from such a fate. But how far will Mr. Darcy go for the woman he loves but thinks he can never have? A crowd favorite, No Cause to Repine starts with a forced engagement and follows Elizabeth as she falls in love with Mr. Darcy. Meanwhile, Darcy uncovers a long-standing plot against him. Who doesn't want a romantic getaway with Mr. Darcy? 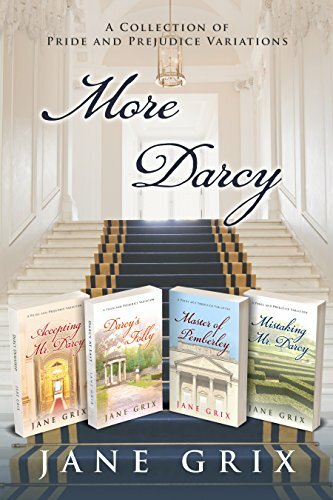 More Darcy is a collection of four previously published variations of Jane Austen's Pride and Prejudice.This collection includes:Accepting Mr. Darcy - What if Elizabeth accepts Da. Darcy - What if Elizabeth accepts Darcy's first proposal? Darcy's Folly - What if Darcy and Elizabeth are forced to marry? Master of Pemberley - What if Darcy is a widower with a child before he meets Elizabeth? Mistaking Mr. Darcy - What if Darcy has an identical twin brother? Each story is a standalone story based on Jane Austen's most beloved couple set in the Regency Era. WARNING: This is a Pride and Prejudice "Intimate." It includes explicit scenes that would never have been written by Jane Austen. Lizzy and Darcy are wed! The Darcys take an eventful journey with the Bingleys after their double wedding ceremony. double wedding ceremony. After many adventures and some challenges, they arrive at last at Pemberley, where Elizabeth will take her place as the mistress of that great house. Occasionally arrogant and always desirable, her new husband continues to challenge her during the days and thrill her every night. 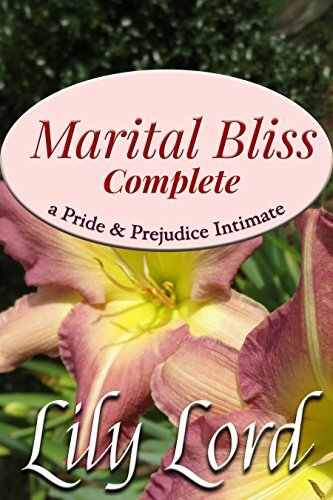 "Marital Bliss Complete" includes all seven books in the bestselling series that covers the first week of the Darcy-Bennet marriage. Coming soon... HOLIDAY BLISS, A Christmas trilogy, which will include "Pemberley Before Christmas," "Pemberley At Christmas," and "Pemberley After Christmas." The Master Darcy Series Omnibus, collecting the Master Darcy books #1-51) Obeying Mr. Darcy2) Defying Mr. Darcy3) Losing Mr. Darcy4) Trusting Mr. Darcy5) Loving Mr. Darcy------------She has lost almost everything, but to help save her family, will shhe has lost almost everything, but to help save her family, will she give up the very last piece of herself that she has? Elizabeth Bennet's life is in near ruins: her father has passed away, her youngest sister has disgraced the family by running away with a soldier, she has refused the two offers of marriage that came her way, the Bennet family has been removed from the Longbourn Estate by the Collinses, and her two younger sisters cannot find proper young men to court them. The only bright spot is that her elder sister, Jane, has found some quiet happiness in a marriage to a local solicitor. But now, through the ruins of what had been a promising young life, comes the offer at a second chance, with a price attached to it. Mr. Darcy has not forgotten her, nor how much he adored her, and makes her a bargain: become his mistress for a short period of time, and he will raise the fortunes of her family so that her sisters might find good husbands, and her mother will not languish in near-poverty. Mr. Darcy has finally found the only way he believes will secure him Elizabeth Bennet... but will she agree to his proposition? And if she does, will he stumble upon a dark side of himself he never knew existed? This darker, sensual intimate variation of Pride and Prejudice is best enjoyed by those over 18. 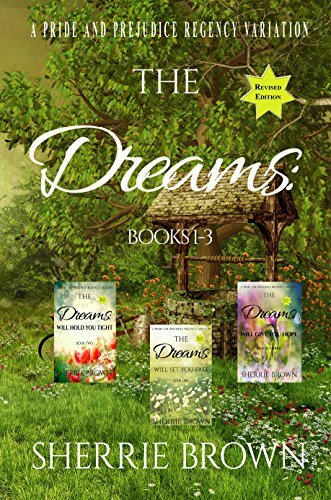 Dreams: Your imagination at work or a glimpse of the future?Join Elizabeth (Lizzy) Bennet and Fitzwilliam (Fitz) Darcy on their journey through life, in this three-book set. The first, two of the books are told from their points of view. Share their Share their frustration and joy as they follow their dreams. Lizzy and Fitz are guided by their dreams and during the first half of their life together, and they make decisions based on their dreams. After their children are born, those dreams are there in the form of comfort and guidance. The first book is about their courtship and understanding their dreams. The second book is adjusting to the first year of married life. The last book is about the joys and challenges the Darcy’s find being parents. Books One and Two are written in dual POV of Elizabeth and Mr. Darcy. TIMELESS ROMANCE FOR THE BUSY READER Something Old - Mr. Darcy's Bad Day How could one simple decision change the course of a man's life? 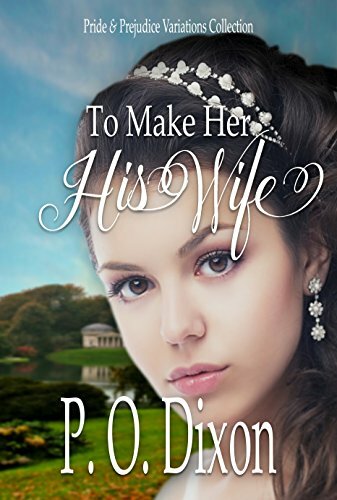 In this fast-paced novella set in Regency England, Mr. Fitzwilliam Darcy of Pemberley in Derbyshire and Darcy Hoshire and Darcy House in London, finds himself unwillingly, or possibly, willingly attached to Miss Elizabeth Bennet. With visions of their life ahead, he presses forward until everyone in her family and his are finally convinced they are a match made in heaven. Or, are they? 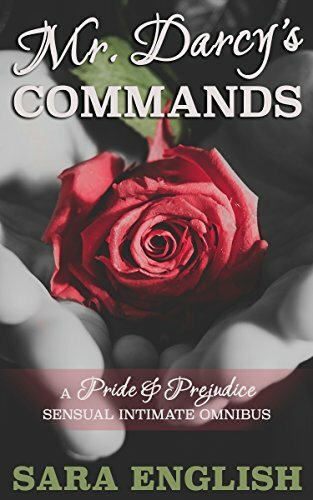 In this sweet modern variation of Jane Austen's Pride & Prejudice, Fitzwilliam Darcy has been his usual prideful/arrogant self and Elizabeth Bennet would rather have gum stuck to her shoe than be stuck in a room with him. When the turmoil of having a pre-teen sibling reaching puberty knocks Darcy off his pedestal, his only saving grace will be the one woman who confounds him, teases him, torments him, and intrigues him. They say love is blind but is it totally insensible as well? In this Regency variation of Jane Austen's Pride & Prejudice, Fitzwilliam Darcy's eldest son sets out to seek a bride. Alexander Fitzwilliam Darcy is the spitting image of his father--in looks, temperament, and his inability to impress a woman not particularly wanting to be impressed. Darcy, against the loving advice of his intelligent wife, decides to help his son along. In the process, the forever kind of love our dear couple has for each other is displayed as tenderness meets stubbornness and affection meets determination. Come along for the bumpy ride between Darcy & Elizabeth as love blooms at Pemberley--or does it? TRIGGER WARNING: Chapter One has a FAILED sexual assault with no description of the attack itself. However, the emotional impacts are felt throughout the story. An attempted assault leaves Miss Elizabeth Bennet seeking tender comfort from the man she had, at one time, abhorred. Mr. Fitzwilliam Darcy's gentle compassion fosters a budding affection as the couple grows to acknowledge each other's weaknesses and failings while recognizing their own. As our heroine struggles with the aftermath of that life-changing event, we discover a strength of character we can admire and emulate. Not even the vile Mr. Wickham can keep Elizabeth Bennet from her happily-ever-after with the man of her dreams--Mr. Darcy. NOTE: These stories were published individually in early 2017 and are still available to purchase one at a time. 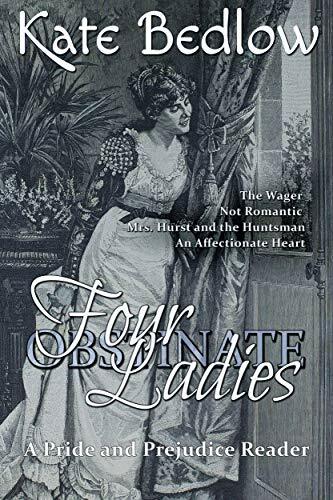 A Collection of four romantic Pride and Prejudice stories by Kate Bedlow.THE WAGERWhen Mary visits Charlotte at Hunsford, she meets Major Carleton Quartermaine, a brash relation to Lady Catherine de Bourgh. "Carley" sees a side of Mary she's always key" sees a side of Mary she's always kept hidden, and he utterly disarms her when they sing a duet together. The attention is unexpected and thrilling, but can prim Mary give her heart to a man she cannot trust? Even the ultimate marriage of convenience deserves a little romance! Charlotte Lucas marries Mr. Collins only to discover her new household dominated by another woman ~ Lady Catherine de Bourgh. To escape her husband's oppressive patroness, Charlotte goes to London with Mr. Darcy to visit her friend Eliza Bennet. There a charming rogue takes an unsettling interest...in Charlotte! A dark and steamy romance ~ the secret story of Louisa and Rackham Hurst. Rackham Hurst has no one but himself to blame for the disaster that is his marriage. For too long, he has respected Louisa's need to put distance between them, but he can no longer stand to see her so unhappy. During a visit to the country estate of her brother's wealthy friend, Rackham decides it's time for a reconciliation--but first he has to find his wife. The vast Derbyshire estate belonging to Fitzwilliam Darcy is beautiful, but to lonely Louisa Hurst, Pemberley's perfection is suffocating. One day, desperate for solitude and fresh air, she takes a curricle out on her own and gets lost in Pemberley Forest. The reclusive huntsman who finds her decides to keep her. After last year's hectic Christmas, the very shy Georgiana Darcy looks forward to a holiday of peace and quiet at home with Darcy and Elizabeth. But when Pemberley's rector cruelly and publicly censures a young girl for losing her virtue, Georgiana feels anything but peaceful. Struck by the unfair difference in how the world treats her and Hannah Brown for nearly the same mistake, Georgiana takes the disgraced girl under her wing, and though this incurs her brother's wrath, she refuses to stand down. Everyone is shocked when Georgiana receives support from Mr. Drake Midwinter--the dashing young visiting curate at Lambton Church who happens to be the nephew of Pemberley's rector. Civil war erupts at the edge of Christmas, with uncle versus nephew, brother versus sister, Lambton versus Pemberley... and even Darcy versus Elizabeth! What havoc Georgiana has wrought--and all because of her affectionate heart. A little scheming, be it by friends, relations, or even a rainstorm, might be just what love needsWhile each of the novellas in this collection takes a different path to happily ever after, all have one thing in common. Love is going to need a littleeed a little push before it will lead each couple down the sometimes bumpy path to happiness. Having had her mother declare to one and all that she has lost her last chance at marriage and knowing that the gentleman she wishes to marry only sees her as a friend, Mary Bennet is planning to escape to London. However, her plans run contrary to those of scheming relations. Arriving for his annual visit at Rosings, Fitzwilliam Darcy is both delighted and hopeful when he learns that his aunt's parson has a guest. However, when his cousin's attentions are more readily accepted by Elizabeth Bennet than his own, it would seem that happiness is not within his reach except for one thing. Walking away from the woman who holds his heart is not on his aunt's list of acceptable activities. Mary Bennet has always longed for a quiet home of her own -- preferably a parsonage. She has even studied and prepared herself accordingly -- poring over sermons and ordering her life in a most proper fashion. However, prudence and propriety take flight in the presence of Colonel Richard Fitzwilliam while the longings of a heart stirred by love and an aunt bent on seeing her nephew happy conspire to push Mary into the colonel's arms. 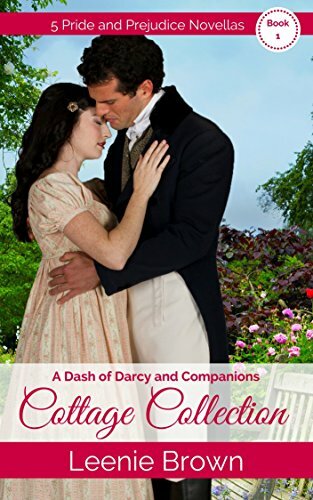 The five novellas in A Dash of Darcy and Companions Cottage Collection 1 are part of Leenie Brown's ever-growing collection of Pride and Prejudice inspired novellas. If you like well-written sweet romance, dotted with poignant moments, touched with humor, and featuring the unexpected, then you will love these stories about finding and claiming love when fate and scheming relations intervene. So, put the kettle on, grab your copy of A Dash of Darcy and Companions Cottage Collection 1, and slip into a world of sweet romantic indulgence today. These titles are also available as stand-alone novellas and as part of either a Dash of Darcy Duo or A Companions Duo. Darcy and Elizabeth fall in love again and again. Another Darcy is a collection of four previously published variations of Jane Austen's Pride and Prejudice.This collection includes:Darcy Unmasked - What if the Ball at Netherfield was a masquerade?DNetherfield was a masquerade? Darcy At Last - What if Elizabeth has amnesia and cannot remember Darcy's disastrous proposal? 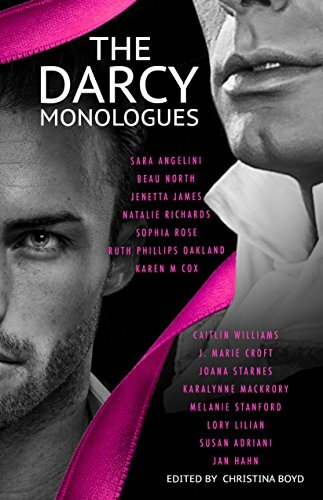 Much Ado About Darcy - What if Darcy was unable to deliver his letter? Darcy's Winter Wedding - What if Darcy and Elizabeth met in London during a Frost Fair? Each story is a standalone story. As Elizabeth Bennet's tour through Derbyshire comes to a close, she has been left with many memories of great houses and beautiful estates... but she also leaves Derbyshire with a terrible secret, one that could ruin not only her own fortunes, but those of her entire family. When Lydia's disappearance with the diabolical Mr. Wickham is revealed, Elizabeth's secret becomes even more scandalous. How would her dear papa cope with not only one daughter shamed... but two? 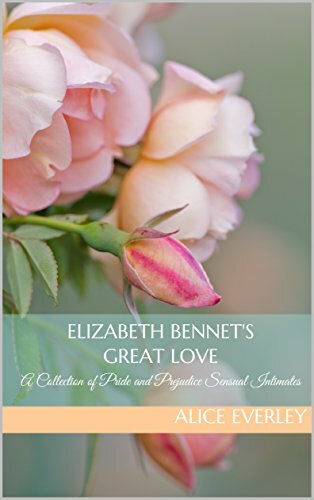 Elizabeth Bennet has spent three memorable, and scandalous, nights in the arms of Mr. Fitzwilliam Darcy, and each time she has been left unsure not only of her own feelings, but of her place in Mr. Darcy's world. At Rosings Park, she was wined, dined, and treated as an equal before Mr. Darcy left her doubting everything, including her heart. 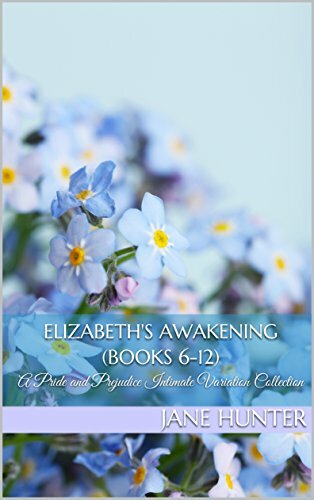 At Hunsford she was betrayed, angry and alone, until Mr. Darcy's arrival in the gardens heralds a change in Elizabeth that can never be undone. But it is at Pemberley that Elizabeth must make a final choice; one that will alter the course of her life forever. This steamy and sensual Pride and Prejudice variation novella collection is best read by those over the age of 18. Three murders. 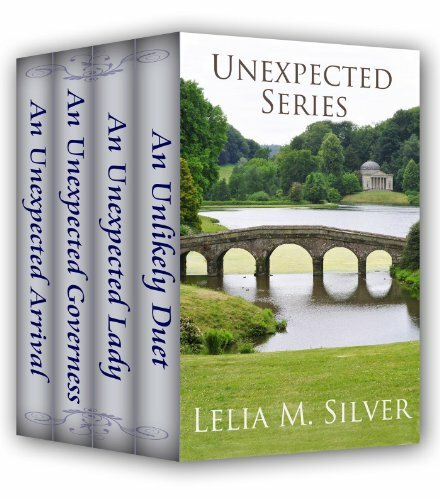 One eternal romance.The Meryton Mystery romance series is set in England's captivating Regency era — when a gentleman's manners were valued as highly as a lady's reputation, and a happy marriage was the ultimate prize (although a fortute prize (although a fortune was never frowned upon). 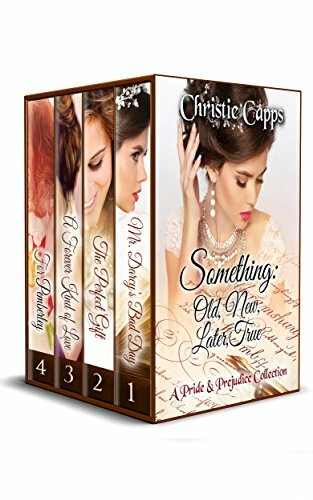 If you like falling in love with Mr. Darcy and Miss Elizabeth as they fall for each other, then you'll love this set of sweet romance-mystery variations inspired by Jane Austen's timeless classic, Pride and Prejudice. When his freedom means the loss of hers … can anyone win? Fitzwilliam Darcy has avoided the entrapments of dozens of desperate maidens seeking a wealthy husband … until the Netherfield Ball. He could lose himself in her fine eyes, but there's just one problem: She doesn't want him. Elizabeth Bennet seeks a brief respite from the crowded ballroom only to find herself wrapped in the arms of the one man she despises — Mr. Darcy. When Darcy's enemy is shot to death, he must choose between Elizabeth's freedom and his own honor. To complicate matters further, Elizabeth is not one to stand idly by when her future is on the line. With a killer on the loose, can she help Darcy reveal the truth before he's accused of a crime she knows he didn't commit? Or will she become the next victim? Lady Catherine comes to Meryton … and Mrs. Bennet gives her a piece of her mind. Fitzwilliam Darcy is more determined than ever to win Elizabeth’s love — no matter what obstacles their families place between them. When a matron is found murdered in the midst of a militia parade, Darcy soon discovers the strength of the victim’s enemies … and their closeness to Elizabeth. Can Darcy protect her when she is determined to bring the murderer to justice? What does a secret correspondence, an elopement, and a plot against Parliament have in common? Join our dear couple as they find out! Fitzwilliam Darcy and Elizabeth Bennet have had their fill of crime-solving. Now engaged to be married, their greatest wish is to leave Meryton with its penchant for mysteries for the serenity of Pemberley — if only Mr. Bennet would give his consent! When the investigations begin anew, Darcy and Elizabeth's search for answers unfolds more trouble as Mr. Bennet becomes the target of an unknown enemy ... or are his frequent "accidents" merely the desperate act of a lonely father unwilling to part with his favorite daughter? 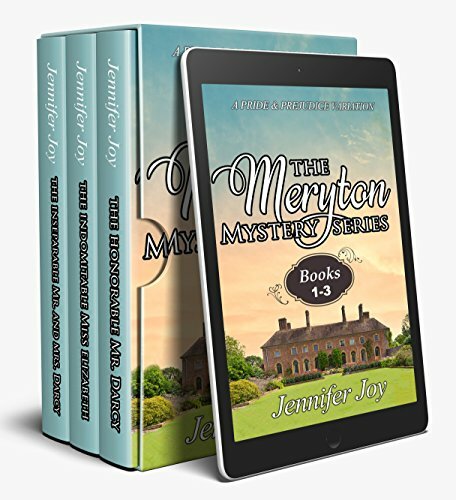 Read The Meryton Mystery Series to satisfy your craving for fast-paced mysteries interwoven with a heartwarming, wholesome romance today! BONUS book ~ "And Now, Mrs. Bingley" - Book 1 of "A Double Wedding at Netherfield Park"
This collection of Pride and Prejudice intimate variations is best enjoyed by those over the age of 18.